Our inverter is used in systems which include inverter electronics mounted close to the motor. Parameterize standardized drive functions or program complex drive tasks. Automation made easy! 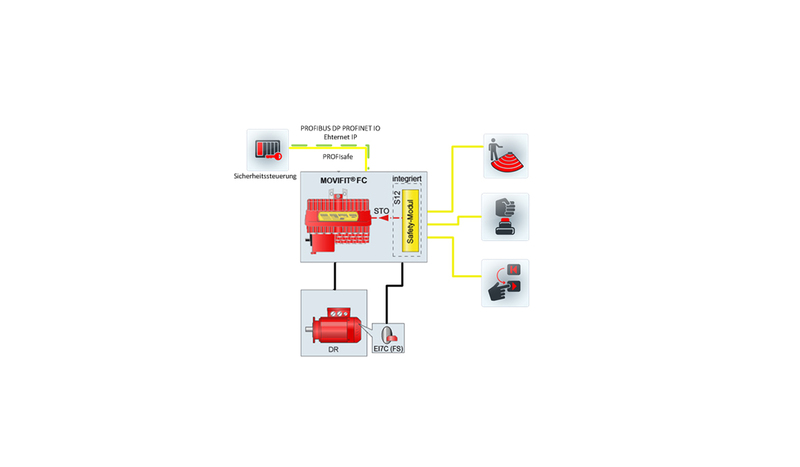 Implement demanding materials handling applications with our decentralized application inverter MOVIFIT® FC in the technology function level design. The technology design provides both the opportunity to operate standardized application modules as well as to implement your system specific requirements through programming. This can be implemented both for simple speed controlled auxiliary axes through to the operation of simple hoist axes or complex conveyor axes. Our application inverter is equipped with extensive safety functions and supports virtually all common field bus systems. Optimally equipped for a broad range of applications. Also choose our MOVIFIT® FC for energy efficiency. 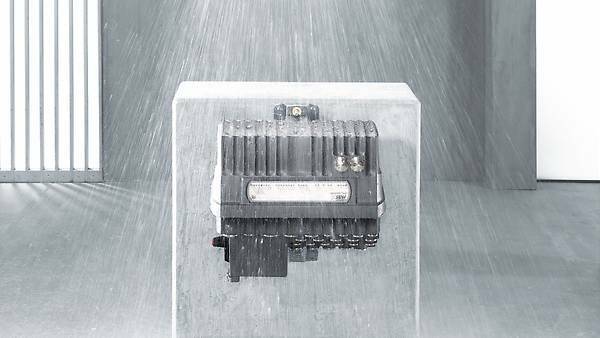 Combine the inverter with our DRU..J series (IE4 motors) energy efficient motors and an efficient brake control. Save energy and costs in the process. Implement application functions without any time consuming programming in combination with our application modules. Simple parameterization with the aid of intuitive startup wizards enables the implementation of complex motion sequences such as cam positioning for up to three MOVIMOT®. Your tasks can also be freely programmed using the standard IEC 61131 languages In addition, a complete range of program components is available for individual and tailored solutions. 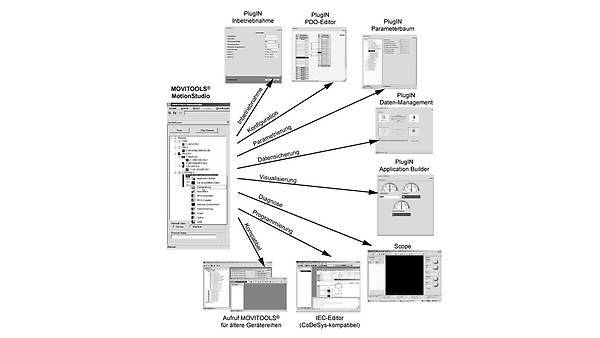 The MOVITOOLS® MotionStudio enables a complete engineering concept. A tool with all the elements necessary for automation and startup of your system. Our MOVIFIT® FC inverter has more than just internal strengths. The high degree of protection IP65 is standard. Its robust aluminum die cast housing is divided into electronics unit (EBOX) and connection unit (ABOX). A major advantage is the closing mechanism with only one screw. This enables quick assembly and smooth unit replacement for servicing. Save cost and time on installation as well. 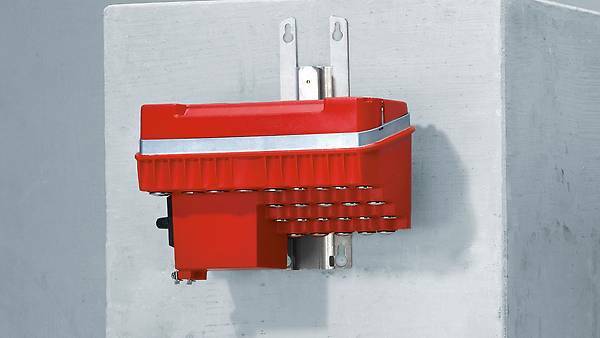 The integrated T distributor for energy and communication, the integrated repair switch and digital IOs means that a wide variety of external additional components are no longer required for the installation. through the positioning of simple lifting axes to complex conveyor axes on all common bus systems. 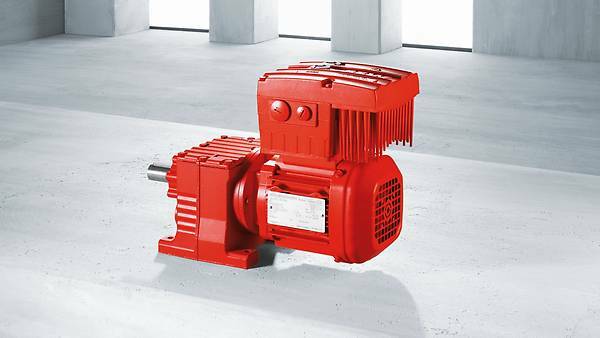 due to energy-optimized brake control, operation of IE2 to IE4 motors and saving on external components. due to standardized application modules including evaluation of process relevant decentralized sensor technology. due to potential pre-startup without controller in operation and fast unit replacement with only one screw. 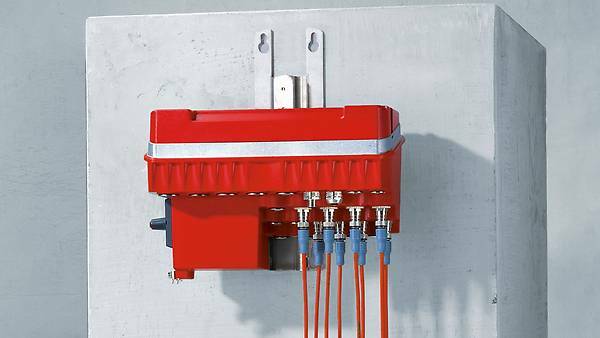 The hybrid connection box (ABOX) of MOVIFIT® from SEW‑EURODRIVE is also a large connector. It also only contains the connection technology All cables for power supply and the motor cables are routed into the ABOX via cable glands and wired to terminals at this point. M12 connectors are provided for digital inputs and outputs. The bus system can be connected via connectors. The bus connectors vary depending on the fieldbus used. 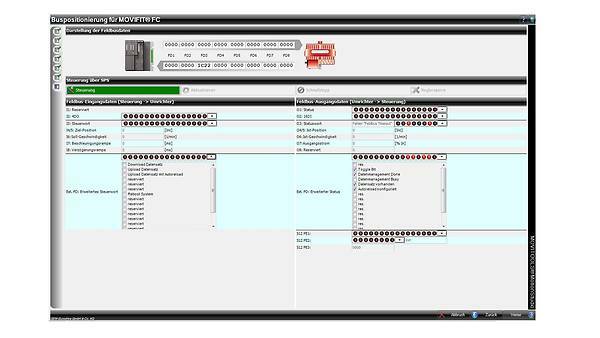 Startup and diagnostics using MOVITOOLS® MotionStudio. Satisfy the demanding hygiene requirements in the food and beverage industry as well as in the chemical and pharmaceutical industry with our HygienicPlus design. You can upgrade the design of the MOVIFIT® FC, already optimized for use in the field, and gain the ideal conditions for use in the wet area. 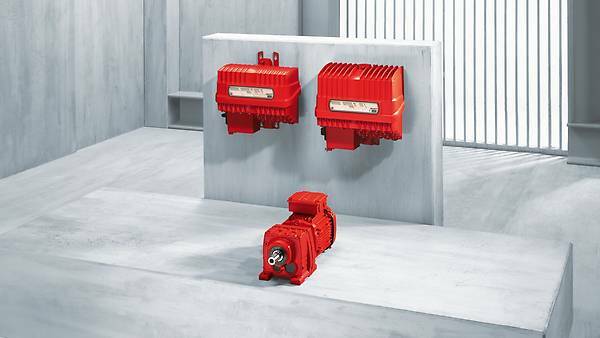 Efficient control mode for IE2 to IE4 motors and energy-optimized brake control. 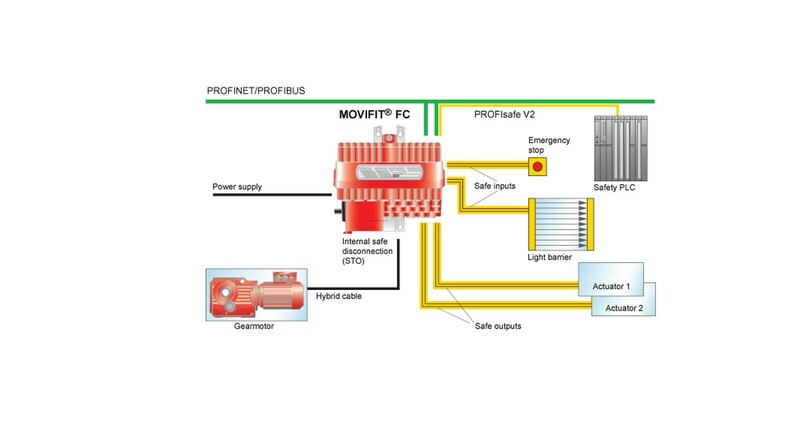 Operate your plant efficiently with our MOVIFIT® FC application inverter. This can be graduated and scaled according to requirements of the end customer.